Let's start with the Drune unit first. 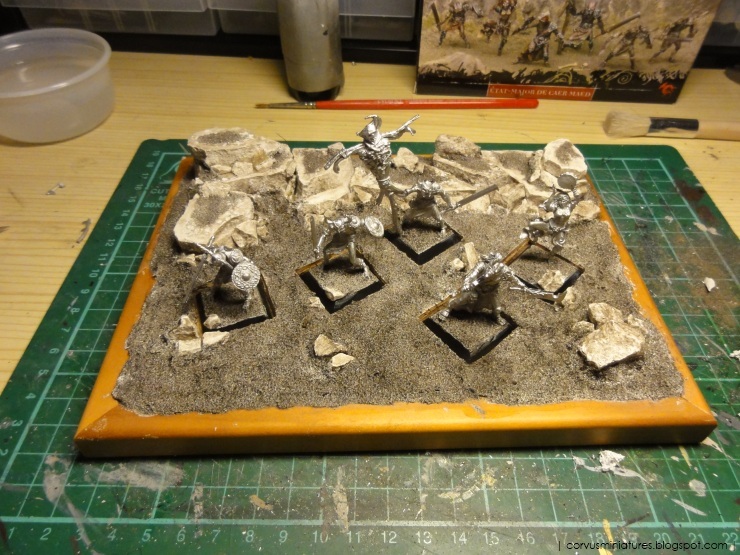 I've made a display base for them, and also decided to leave one "rank & file" guy out of the unit, to save a little bit of work. I used a cheap photo frame, plaster rocks and Vallejo texture gel to create the scene. I've made pictures of every step so I'll probably do a tutorial on this later on. 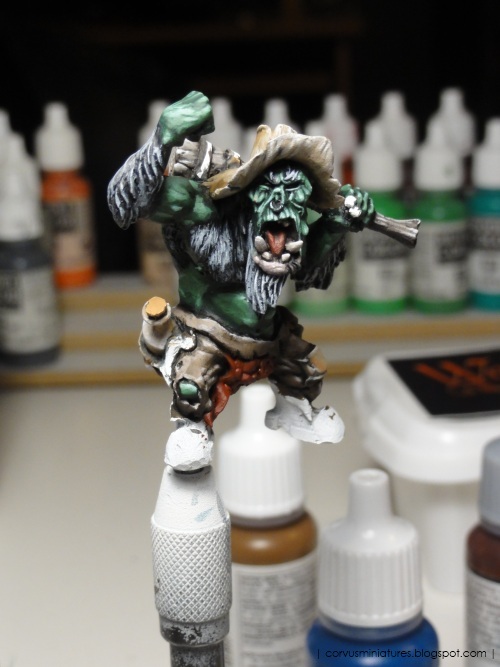 The Drunes took me away from painting the Warploque Orc, but I pickup up work on him again yesterday. 2011 saw a jump in traffic coming to my blog, 7500 more visits than 2010, good for a total of 22000. A lot of traffic comes from my followers on the different platforms, the number of blogger followers nearly doubled, with 123 last year, and 240 now (scroll to the bottom of this page to find the blogger follow widget). My Facebook page even did better, with 186 fans, 100 more than last year. On Twitter there are 125 followers, but it's probably the platform with the least amount of messages being converted to visits (almost none... strange). There were 52 blog posts in 2011, with the most visited article on this site is the one about the cloud backdrops, which is actually an article from 2010. New, better backdrops will become available later this year. 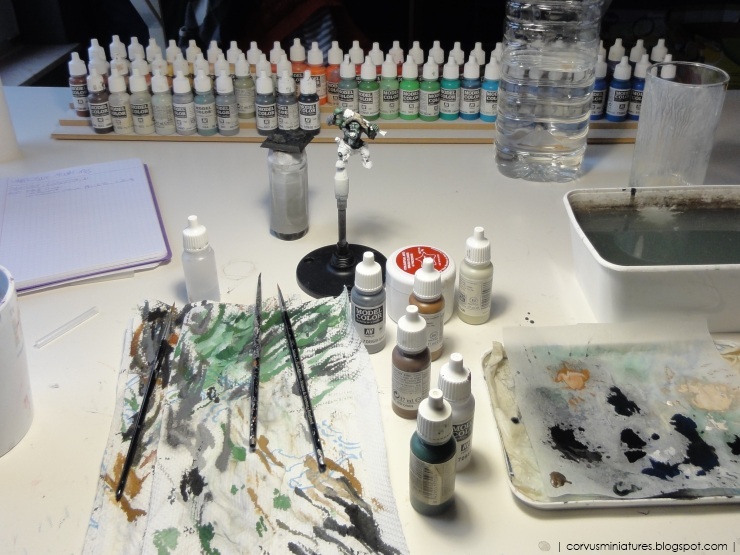 When taking only 2011 articles into account, my third part of the Finecast stories is the number one, closely followed by the Painting Crusade and DUZI event coverage. 2011 was a great year for me. After a couple of years with weakened motivation and inspiration, I feel like I've put everything back on track this year. The golden trophee I brought back home from DUZI illustrates this. It's my first prize in 4 years, and my first one from abroad. Another fantastic thing was my Drune Red Karnagh appearing in the CoolMiniOrNot 2009 annual. 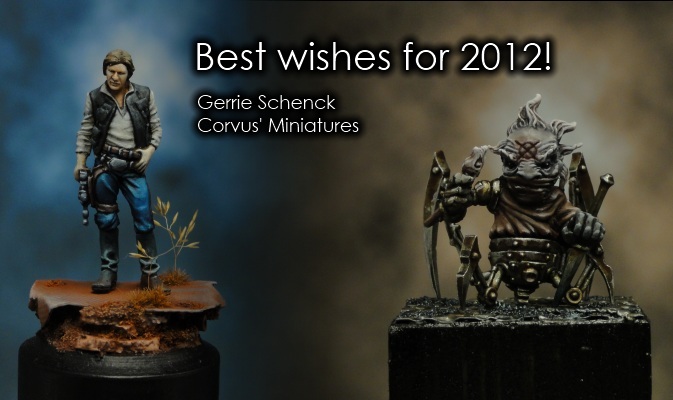 Too bad I have missed the 2010 one, but 2011 will probably feature one or more of my miniatures once again. A great piece of acknowledgement was the invitation to join the international Chest Of Colors team. Being a member of their forum since it was founded, this was of course only a formality and I gladly joined them. View my member page here. 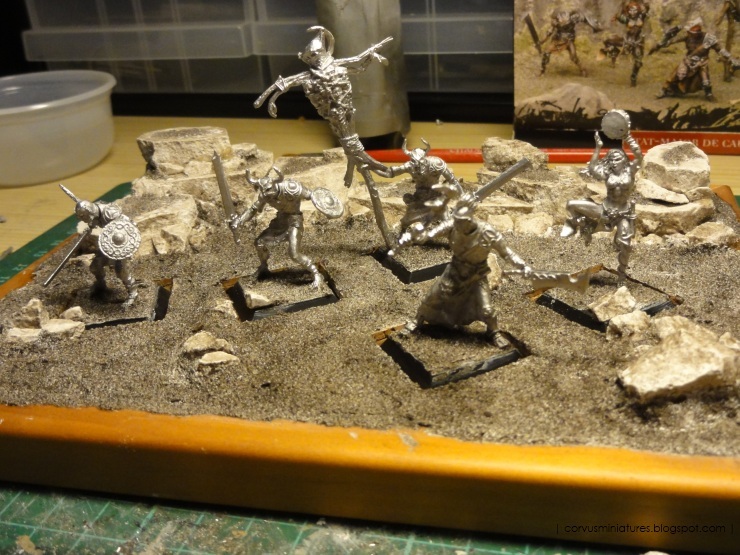 If there's one tutorial you'd have to have read last year it's probably the making of the "Hunter or Hunted" diorama by Raffa, which won him the German Slayer Sword in 2010. Check out the article on Massive Voodoo. Speaking of Massive Voodoo, this artwork called "Maestro" is probably the best thing Roman painted in 2011, in my opinion at least. 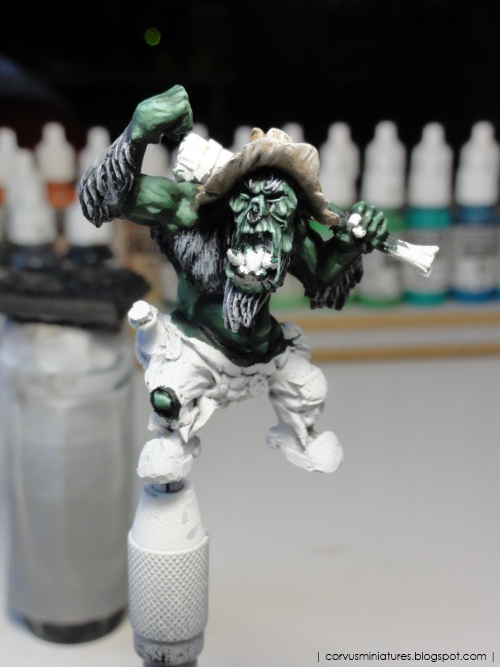 Companies will always be compared to Rackham, and I think Imbrian Arts has some of the French spirit in its sculpts (although they operate from Australia), especially when painted up by a French guy as seen here. Hmm I should buy one of these sooner or later. The most flawless paintjob of 2011 is probably done by Darren Latham, check out this Arjac Rockfist, impressive, although not really a style I like that much. Well I think you can guess my first choice: Finecast. A lot has been written about this product, also on my blog. Two things really bother me about this: 1) a company with such an expertise puts out such a crappy product 2) people are buying this. 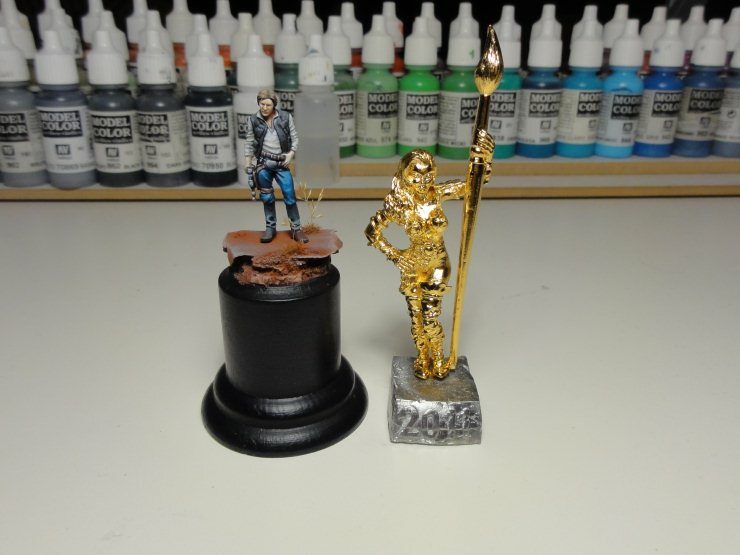 Second is Legacy Miniatures. At first I was really thrilled about this so-called Rackham revival. But it turned out to be a badly marketed, expensive joke. 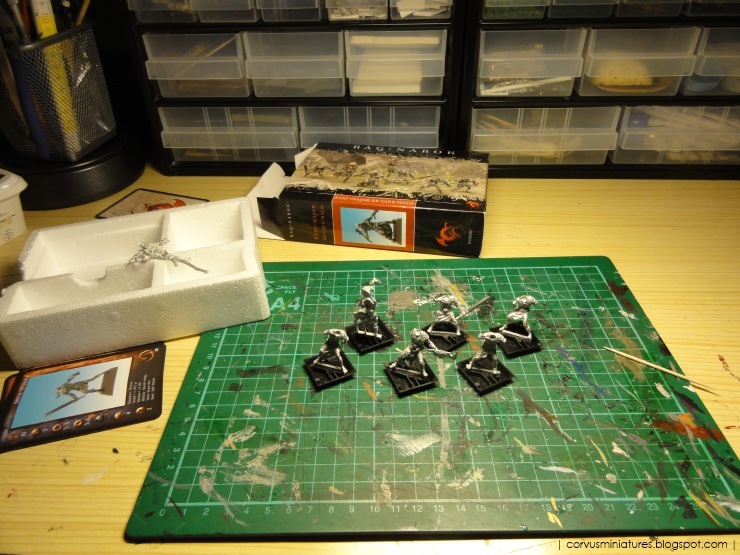 I have no trouble paying 15 USD for a miniature, but I don't want to pay 90 USD for a box of which I only want one. Hunting down the old metals is still more feasable, in fact a lot of stores still have a bin of those at serious discount. Painting wise, 2011 was a big success for me. It's the year I really put my showcase painting back on track, with some very important achievements. I've also noticed the online community is more active than ever, the quality of online tutorials and articles have gone up a lot. It's a trend which is really good for the hobby. There have been some very good releases in 2011, but I'm still waiting for "the next big thing". 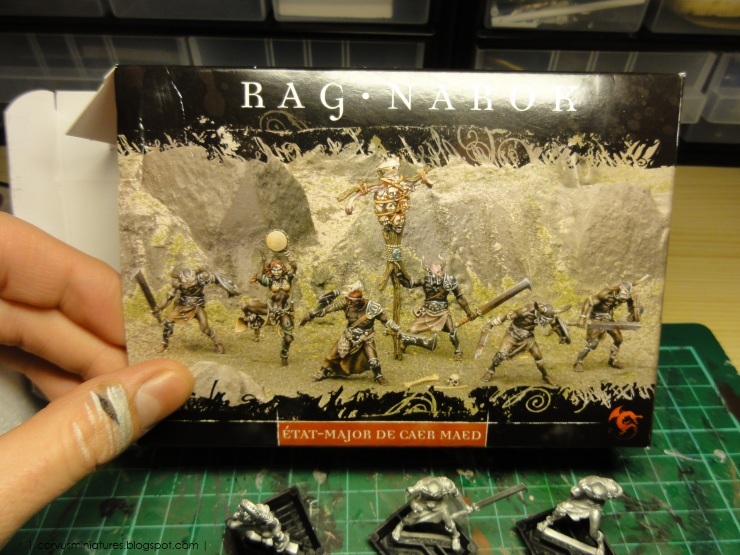 Some highly anticipated products (Finecast, Legacy Miniatures) have failed miserably. Maybe 2012 will have more interesting stuff for us, like for example the release of Privateer Press' new SF game. 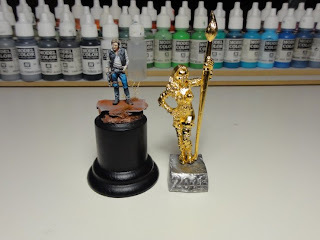 The last couple of days I've been trying my brush on a miniature called "Jebzakkah B'Ork, Bayour Chieftain" by Warploque Miniatures. Quite a big figure in fact, it shows that my skills with larger scale models need more practice. But it's a fun figure to paint. I'll be reviewing this figure in detail soon, in the meantime check out the Warploque Miniatures site, the range looks really cool!